Join our Corner Store Garden Group for a free class on how to attract more honey bees, butterflies and hummingbirds to your garden. Topics will include: plant combinations that bloom from early spring to late fall, host plants for caterpillars, bee hotels, safe pest management and more. 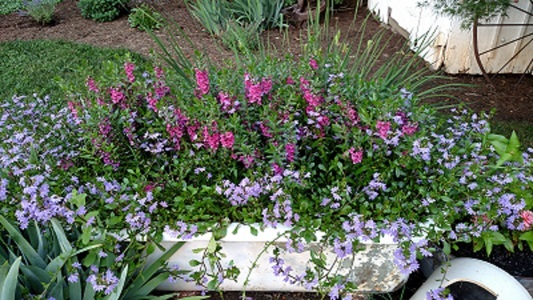 We’ll offer pollinator friendly tips and tactics for flower, vegetable, and container gardens. Make your reservation today, there is no charge, but reservations are required and limited to 20. To register click the button below, no need to add credit card information just press continue. Cancellation policy: No refunds will be given 5 days or fewer from the day of the event. Join our Corner Store Garden Group to find out how you can turn that shady spot or your deck into a beautiful garden. We’ll look at the wide variety of plants that will thrive in the shade, including deer resistant varieties. Turn your deck or patio—whether it’s sunny or shady—into a beautiful garden space with containers. We’ll share the simple recipe for success to turn your containers into blooming masterpieces. 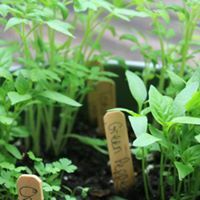 Join our Corner Store Garden Group to find out how you can keep your flower and vegetable gardens looking great and producing through the summer. For the flower garden, we’ll talk about deadheading for extended blooms, shearing to increase blooms, refreshing containers and more. We’ll provide tips and advice for the vegetable garden including harvesting, succession planting, using row covers, pest control, watering and more. Come join our new Corner Store Home Garden Group for an introductory level session on planning and planting your vegetable garden. We’ll talk about the basics of growing a small vegetable garden. Topics will include light considerations, plant selection, pest control, watering and more. After a 30-minute discussion, we’ll look at plants and share tips on how to plant for success. Fun for ages 5-8, kids will have great time starting their very own spring garden! They‘ll plant seeds to take home where they can watch their baby plants grow. A special chart will help them observe like scientists as they learn about the plant life cycle. We’ll give tips on how to care for their new plants and transplant them later in the spring. Choose from a variety of different garden starters including spring and summer flower, vegetable, and pollinator gardens. Class includes a craft activity after planting the starter garden. Cost: $10.00- includes 1 seed starter kit and craft materials. Children ages 5-8 will enjoy this activity and must have a parent or guardian on premises during the class. Come join our new Corner Store Home Garden Group and learn some tips for starting you next garden project! Please join us for an introductory level session on designing and planting flower beds. We’ll talk about the basics of creating a beautiful border or corner bed using perennial and annual flowers. Topics will include: point of view, light considerations, color palette, staging and more. After a 30-minute discussion, we’ll look at some examples of plant combinations for shade and sun that will thrive in Central Virginia. Make your reservation today, there is no charge, but reservations are required and limited to 15 participants. To register click the button below, no need to add credit card information just press continue. Jenny Hopkins grows cut flowers in her 1/3 acre plot, Big Arms Farm in North Garden. Most weekends you can find her arranging made-to-order bouquets at Nelson Farmers Market in Nellysford. She has over 20 years of organic growing experience, utilizing skills learned at the renowned UCSC Farm & Garden in Santa Cruz, CA. 1st Annual Corner Store Photo Contest! Submit your photos today!! Spend some time in your garden and share the beauty of your Corner Store plants. Win one of three great prizes! 1. Take a picture of any plants or wildlife in your yard and email it to cornerstore777@gmail.com (0r click the email icon at the bottom of this page) by August 5, 2018. 2. Put Photo Contest in the subject line and a title for the photo in the body of the email. 3. You can only submit one photo. 4. Our staff will upload all photos to a Contest Photo Album on the Corner Store Facebook page on August 15, 2018. 5. Then, on August 15, the contest begins. Share the Album with all your friends! Vote for your favorite by liking the photo of choice in the album. The photo with the most likes between August 15 and September 15th will be the grand prize winner. 6. Contest ends on September 15th at 6:00 pm. 7. Winner will be announced September 16th.